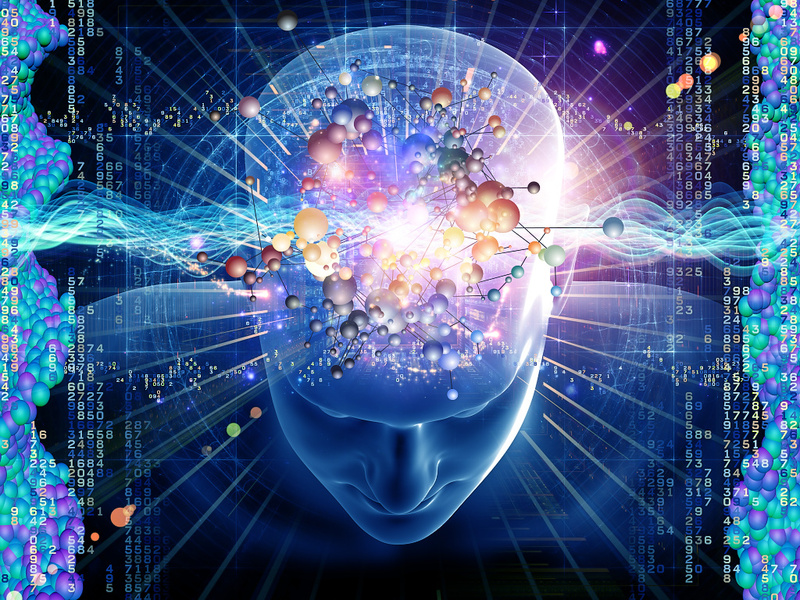 We look at how quantum partticles allow us to create our own reality. 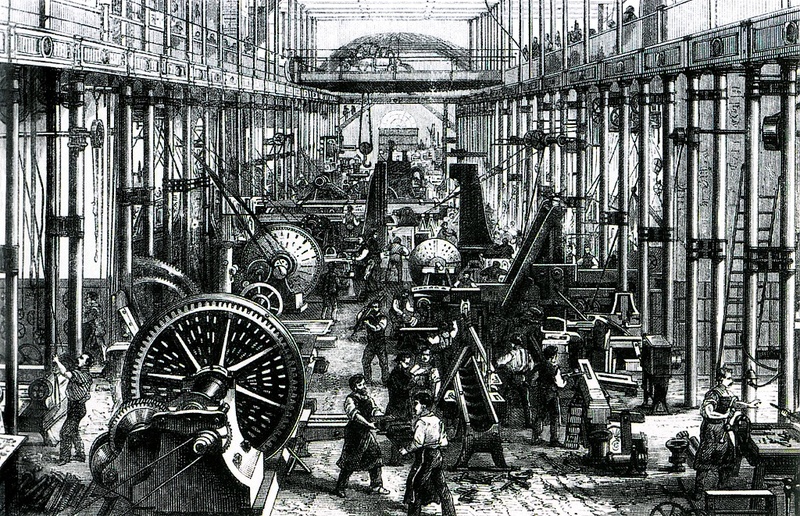 In the industrial revolution, created by the steam engine, the terms of the new technology were quickly applied in an analogous manner to the human experience. Thus, we have phrases such as "he blew his top!" and "she had a nervous breakdown" that come from steam technology. Then computers came along, those mysterious, cranky devices that could mindlessly process huge amounts of data without understanding any of it. This gave us phrases such as, "My memory banks are full," and "That does not compute!" Now that we are all surrounded by large-scale HDTV screens, I think it might be time to use them as analogies for things that are tricky to understand, such as quantum mechanics and the mechanisms by which we create a perceptual Universe out of what is, in effect, nothing more than quantum noise. To begin with, get a magnifying glass and look closely at an inch or so of your HDTV screen. You'll see little dots, called pixels, which flicker on and off. And even though from a distance we see all the colors of the rainbow, close up there are just three colors: red, green and blue, each of which can express itself in many gradations from black to bright, pure color. The point here is that, looked at closely, these individual pixels don't tell us much. If you inspect just one or two of the pixels in the above illustration, you can have no idea what the complete image is. It's like trying to guess the end picture from a single piece of a jigsaw puzzle. 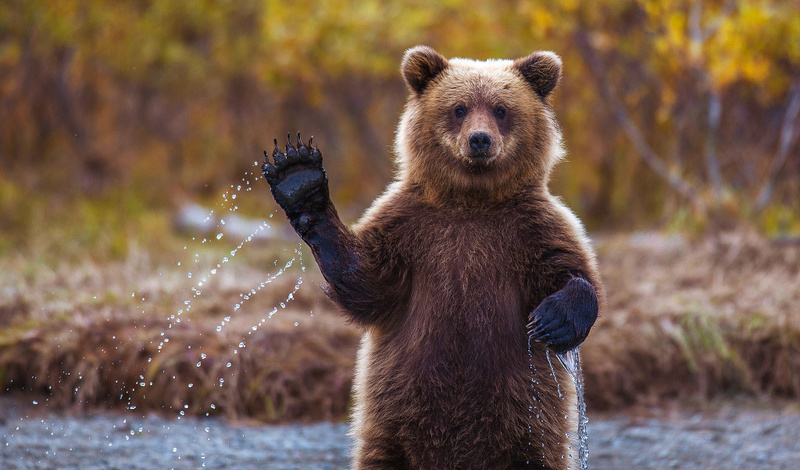 And yet, stand back…and the picture you see is startling in its clarity, almost as realistic as the view outside your window. By the same token, quantum particles, the teensy bits of energy that make up all matter in the Universe, also flicker on and off. Oddly, physicists have discovered that quantum particles that make up such heavier particles as protons and neutrons, also flicker into and out of existence. Only counting the water molecules in our bodies, each of us is made up of approximately 1.1021425e+97 protons. 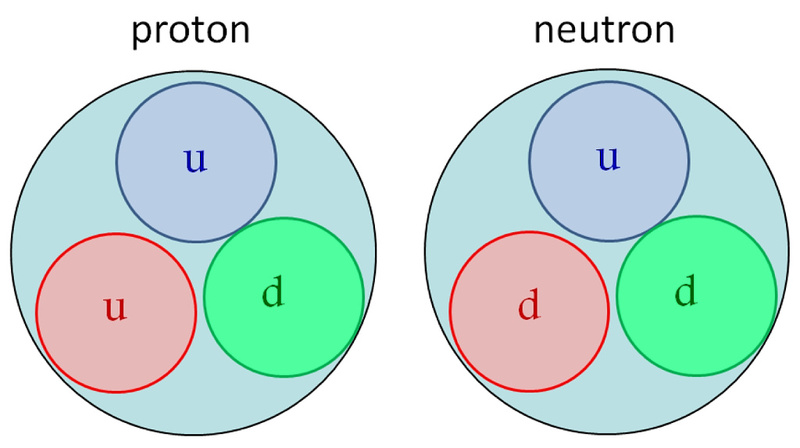 So examining any one of them doesn't give you much insight into the object of which that proton is a component. Not a single one of those protons is the home of happiness, or regret, or any other part of the human experience. But I want to focus on the quarks for the moment. These elementary particles are not permanent; they flicker in and out of existence the way a pixel flickers to produce its part of an HDTV moving image. So an obvious question is, how does the quark know where to come into existence? But the answer is an even deeper conundrum; because quantum particles pop in and out of existence everywhere, not just where a proton or neutron is supposed to be. At the quantum level, "empty" space is just as alive with flickering quantum particles, as is the densest piece of lead. So, in that case—how does a quantum particle know when to act like a quark in a proton, or a gluon, or an electron, or nothing? Well, that's the interesting part. Because the quantum particle doesn't seem to know how to act…until we observe it, at which point it takes on the characteristics we expect to find! In other words, quantum particles do not seem to know any more than a pixel on your TV screen. It appears that they do what they do, simply because we expect them to! It is not quantum particles that give shape to our Universe, but rather, our expectations that do so. In a very literal manner, then, we create our own Universe—moment by moment—simply by expecting it to act as it does. And that's not just the big things, like the Sun or the ocean, but small things as well: How your ice cream tastes; why you keep dating the same miserable collection of losers; why, for some, camping is a fate worse than death. The pictures on your TV come from somewhere. 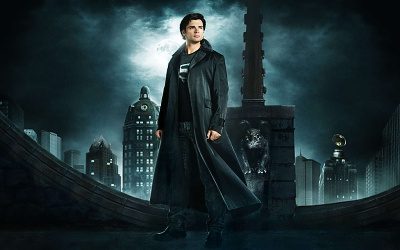 Let's say you are watching an episode of Smallville, one of my favorites. 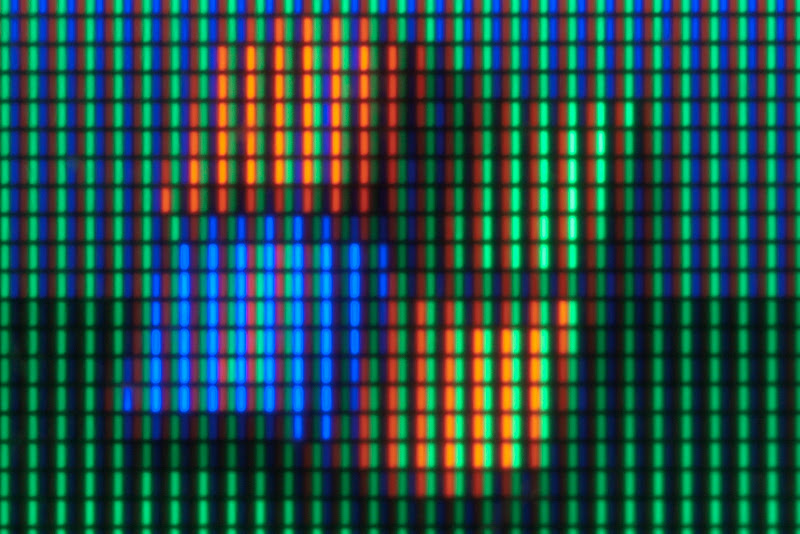 The pixels on your TV, individually, give no hint as to what the story or even an individual frame, are about. Backing up far enough to see the screen allows you to see the pictures, but even then it's not enough. Your cat can see the screen, too; but few cats have any interest in watching an episode of Smallville. Oh, if you have a video of a fly buzzing around the screen that might get a cat's attention; but of flying superheroes, none at all. Not even every human may understand the images. For example, an aboriginal native of some remote tribe could see the images and hear the sounds, but would have nothing on which to build an understanding. Forget the superhero aspect; the cars, houses, cellphones, computers and other aspects of modern city life would be completely meaningless to our hypothetical native. No, it takes years of immersion into our complex and technological culture, including its myths as well as its science, to be able to follow even a simple episode of any TV show. This is why you don't remember the TV shows you saw when you were an infant. Without the acculturation that would seep in as you grew, the TV simply displayed pretty colors and noises to your infant brain. And a basic, but heretofore unrecognized, aspect of that acculturation, is apparently the picking up of our group expectations of what the Universe looks and acts like. Before this takes place, a baby cannot interact with the Universe in any meaningful way. How does the baby start these lessons? From his or her parents' love. Because, as it turns out (and yes, I am now leaving physics and entering the realm of metaphysics) all quantum particles are "Love" and when they appear in our Universe, it's because they've come from a continuum that creates them. Some might call that continuum "God." But you could also simply call it "Love." So, to recap: Constantly leaking into our Universe are infinitesimal elementary particles that have no form other than what we impose on them by our expectations. And yet these particles make up everything…all matter, all energy, everything we perceive and everything we cannot perceive. And what they make up, is what we expect them to make up!. If the early Greek philosophers hadn't figured out the atom, and instead came up with an entirely different notion as to how matter is formed, we might have a completely different view of the Universe right now…and we would still be correct, because the Universe would be different. Does this mean you can change the Universe by changing your expectations? If you want to create a world in which the sky is purple or money grows on trees, you'll be fighting the expectations of every other human on Earth, Ours is a shared reality; and it takes time and a lot of effort to alter an entire population's expectations. On the other hand, suppose you hate skiing and you would like to love it. Lots of people love to ski, so you are fighting only your own expectations, not anyone else's. If you take the time to meditate, and envision yourself on a lovely skiing holiday, enjoying yourself and having a wonderful time, and you do this steadily for a period of time, when you expose yourself to the reality of skiing, you might well find yourself loving it. You have just altered your reality. They are the same quantum particles as before, but the pattern you imposed on them is different. The implications here are stupendous. For example, there is the implication that "miracles" can actually happen—a good thing, since studies have consistently shown that they do. But a miracle doesn't require a god's intervention to happen; it just requires an attitude adjustment on the part of the observer. Thus, our expectations can destroy or renew our health; our livelihoods; our social lives. If any of those is not to your liking, start today envisioning and learning to expect what you want, instead of what you've been giving yourself. After all—and this is perhaps the most significant change of expectation each of us can make—you deserve the best!